sprinkles track is fire. that bassline is everything. words words. I always am very critical of effects used so blatantly in a record such as this, but it just...works! Simple and effective. The baseline compliments the sample beautifully. Got Cocoon Ibiza written all over it. 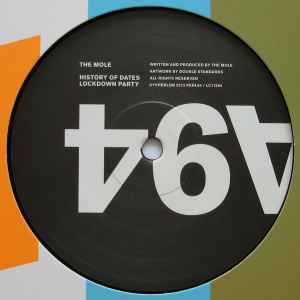 Terre is an absolute mad man. . . . . .
Few copies reappeared on Hardwax, get it if you up for that Sprinkles' amazing remix. Heard Sprinkles Crossfaderama 3 times during Movement weekend, definitely one for the bag. I've heard DJs like Terrence Parker flare and cut using the crossfader but never on a record! Terre really is one of a kind. Such a good release! The Sprinkles remix is worth the price of admission alone, but History of Dates is a great bonus. Really love that one too.